Spotlight Events did an absolutely amazing job!!! I recommend them to everyone!! If you are looking for an entertainment that will go over and above all of your expectations, Spotlight Events is where you need to turn! Russell, with Spotlight Events, literally pours his heart and soul into making your special day perfect. He really helps you to plan a timeline for the day of your wedding. Russell really focuses on what your expectations are for the reception. We wanted a memorable reception where everyone was dancing the entire night dancing. 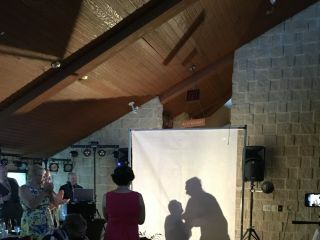 Russell did such an amazing job with fun and upbeat music selection that was fun for all ages - we had people on the dance floor the entire time! We also did the voice-over/love story for our first dance it was so much fun to make and such a surprise and fun to listen to! Since he has so many years of experience he told us that we should do our first dance right after the grand march, which was such an amazing idea!! Spotlight Events had the lighting system absolutely perfect. Russell got to our reception hall really early the day of our wedding to make sure that he had all of the sound system and lighting just perfect -and he did!!! Also, as guests were arriving to the reception he was so accommodating and after the wedding party arrived, such a huge help with making sure everything kept flowing. He made sure to make announcements as to when we were arriving, cutting cake, etc. Spotlight Events was the absolute best DJ service I have ever seen and heard and I wouldn't change a thing! We got married at the Madison Masonic Center in October. We chose Spotlight Events without much debate. We had the pleasure of knowing Greg ("Mr. O") prior to shopping around for vendors for our wedding. He is one of the most knowledgeable, easiest to work with music professionals we met. He was able to answer all of the questions we had, suggested appropriate ideas for our entertainment, and provided top-notch MC service on the night of our wedding. We opted for the Love Story add-on for our first dance and had a wonderful time with him while recording it and were incredibly pleased with how it turned out. The up-lighting was great, and after a minor miscommunication, was easily adapted to our event. We received nothing but positive remarks about the music selection from all of our guests we spoke to. They had a nice blend of classics and modern music that got just about everyone out on the dance floor. Greg is a wonderful person overall and was great to work with. You are absolutely in good hands if you choose Spotlight Events. Thanks for the nice words, Nate. May you and Jennifer have a wonderful holiday season. I loved working with your families. Russell Welch of Spotlight Events is outstanding! He is an experienced wedding DJ and it shows. While working with him from out of state, my daughter and her fiancé were very impressed by his good communication and friendly manner. Together, they crafted Must Play and Must Not Play lists and discussed how the music would progress throughout the evening. At the event, the sound system for the speeches worked flawlessly and Russell helped transition smoothly from one talk to the next. When it came time to dance, Russell knew what to play to keep our group on the dance floor having fun, and he even joined us for a polka! It was wonderful to find a DJ who could be fun and entertaining, keep the night moving, all while keeping the focus on the bride and groom. Spotlight Events could not have delivered more! Stress free and wonderful performance! My now-wife and I could not have been happier with Russel's performance on behalf of Spotlight Events, he absolutely made the reception an event to be remembered. Just to start with some accolades, I had a several good friends confide that our reception was one of the most fun receptions that they had been to for weddings and while I was flattered it was definitely due in large part to our wonderful DJ. Second, I was a bit skeptical of how much we really needed a DJ before the wedding, but some of my friends convinced me I was being crazy and my wife also said it would make her more comfortable not having to worry about any technical difficulties or problems arising from not having someone constantly manning the music. All that being said, I was foolish to think that we didn't need a DJ because Russel added so much more to the wedding reception than merely "pushing play" on playlist. He helped smooth over the gaps in our planning for our entrance to the reception by asking us for just the information he needed and then took care of the rest. He was constantly on top of the mood on the dance floor and switching music genres and songs to get more people involved; there wasn't a single moment where there was nobody on the dance floor the entire night! In fact, during some portions he even got out on the dance floor himself to enjoy himself and keep the spirit alive since he was quite a skilled dancer as well. He honored all of our ridiculous song requests as well, expertly transitioning into the song and not overplaying it if people weren't feeling it. All of this came with veeerry little required input on our side of things. We told him generally that we wanted music to start "classic" in the beginning and shift into younger more current music towards the middle and end of the evening and we also told him the songs for the special dances at the beginning. Everything else was his doing, leaving us to enjoy the wonderful evening. If I had known in advance how much Russel would have added to the evening, I would not have even hesitated to hire a DJ, but I sure am glad that we ended up going with Spotlight Entertainment. I've read a good handful of the other reviews on here and they also seem to echo our experiences, so it seems that consistency is yet another great quality that Russel brings to the table. I am so glad we worked with Russell from Spotlight Events for our wedding. He was so easygoing and confident that it allowed us to feel comfortable letting him take care of the flow of the reception. I grew up in the Madison area, but we live in Kansas so we were planning the wedding from out of state which was pretty stressful. After talking to Russell over the phone once, I knew we could cross DJ questions off the list of things to worry about. Russell added so much to our reception, from the flow of the evening, to the music that kept people on the dance floor all night. He even played us an extra song at the end of the night when it was really just the last of our friends dancing. I highly recommend working with Russell for your event. We truly feel that Spotlight Events made our day unforgettable for both us and our guests. Leading up to our wedding day, Greg was willing to meet with us several times to make sure we felt comfortable with every detail. His experience and thoughtfulness made planning for the day a piece of wedding cake. We leaned on Greg to play tasteful music for our ceremony and to play music that kept the dance floor occupied and he did a great job. Many guests commented throughout the night how great our DJ was and we still get compliments months after saying how great our wedding/DJ was. We also had a special Grand March planned that a friend helped us with. Greg was fantastic and was able to mix music/audio live to make the entrance go incredibly smooth. He is a true professional and you can be extremely confident in his ability. Greg even drove to our venue the night of our rehearsal so we could practice to the actual ceremony music! We were blown away. We highly suggest booking Greg with Spotlight Events. He will make your day even more memorable than you ever thought possible. Thank you, Lukas! Your event was one of the most unique of 2018. I especially enjoyed producing the introductions. What fun! It was an honor to be part of it. Before using Spotlight Events for our wedding, we experienced their services at a previous wedding. Because we had already attended one of his events, Russell made it his goal to exceed our current expectations of him. He and his team hit it out of the park. Russell provided a fantastic night of entertainment during our wedding. He was professional, charismatic, meticulous, and helpful. During our meetings, Russell used his experience to answer many of the timing questions we had regarding the day’s schedule. This helped us put all of the events and timeframes into perspective and eased our minds as to the multiple aspects of the day (cake cutting, grand march, photos, etc.). All of this was before we even discussed the music. When we created our playlist, it was customized to our tastes. However, it was not an overwhelming task due to the amount of work he put in prior to the meeting. We had to make a lot of decisions between a few songs, which is far more manageable than planning every single song we would use. It is also more special than a cookie-cutter playlist that any DJ could prepare for all weddings. Additionally, he was fantastic with the crowd, and he was able to gauge how to keep the party going. The end result was a wedding and reception where everyone had a blast with a packed dance floor until the end. In fact, even the pastor mentioned that it was the most fun wedding she had ever officiated. We have nothing but good things to say about our experience. Please utilize Spotlight Events as everyone deserves the best wedding possible, and this company is worth every penny. Thank you for the positive review! I hope you two are enjoying a happy life together. If we can ever be of service again, please don't hesitate to give us a call. Russ was fantastic in planning and execution of our wedding. I would highly recommend him for your wedding! Russell Welch is more than DJ! When my husband Scott and I got engaged, we knew we wanted to use Spotlight Events for our wedding entertainment. Russell had done two of my siblings weddings, and he did a great job and left quite an impression on my family who had already been to two weddings where he was MC/DJ. We were so happy with how much they cared about making sure our day was special and that things went smoothly. We had a few meetings prior to the wedding, planning timelines, songs and talking about uplighting, photo booths or the love story, and we never felt pressured to add on services that may not have worked well in our venue. We had Greg as our MC and Russell as our DJ, and we got so many compliments after the wedding about how awesome they were! We had also asked our guests for a song request, and they were able to work all of them into the cocktail hour, dinner and dancing. Russell also made sure the head table had drinks, and he was even dishing up ice cream from our ice cream bar for the wedding party so they wouldn’t have to stand in line. I highly suggest Greg and Russell if you’re looking for wedding entertainment that will leave all your guests talking about how great your wedding was! Not only do they offer great entertainment and are professional, but they make sure your guests feel welcome! Russell is absolutely wonderful. We met with him several times during our planning and he listened to what we wanted and helped us make decisions where we needed to. He really knows his stuff! We chose to do the voice over "love story" for our first dance and it was beautiful. I'm so glad we have that recording to keep forever, and we're still getting so many compliments on it. All throughout our event, Russell was sure to check in that we were happy with how things were going. 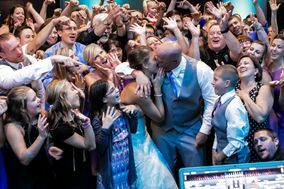 Your DJ is one of the most important decisions you will make for your wedding. Choose Spotlight Events!! Wow Jenny! We're really glad to hear that we exceeded your expectations. Thank you for making Spotlight Events part of your celebration. Best of luck to you both. We had Spotlight Events at our wedding, and words cannot describe how wonderful everything turned out. They are very experienced and had great recommendations for so many different aspects of the wedding. This is not just a DJ service, it is a true entertaining experience. Russell went above and beyond making sure everyone was participating and having a great time. There was never a dull moment on the dance floor and our pictures showed everyone truly enjoying themselves. The magic mirror was amazing and the personal love story was both an emotional and unforgettable moment at our wedding. Spotlight Events is worth every penny for the experience. I highly recommend Russell for your wedding! Spotlight Events/Russel-We first saw Russel/Spotlight Events at our friend's wedding dance. We had so much fun and the fact that he had everyone involved at the dance was amazing. We want to plan our 25th wedding anniversary party and we kept think about how much fun we had at the wedding dance. We decided to have Russel do our event. Russel is not just an entertainer, he is a great event planner. Every detail we wanted he made sure it happened. His music didn't miss a beat and all the activities he planned kept our family and friend's entertained all evening. We had our party in August of last year. Our family and friend's are still talking about how much fun they had. We had so much fun!! We will cherish all the memories of that day/evening forever!!!! Thanks, Laurie! It was an honor to be your entertainment! Greg and his whole team were amazing! He really went over and above to make our special day great. He truly was the guy who kept everything moving and on track...much more than just a DJ. We received so many compliments on our first dance song spotlight that was put together, and we couldn't thank him more for a job well done! Thank you for the kind words, Cathleen. You and Elliot were wonderful to work with. Yours was probably the most elegant event of our 2017 season. Well planned and filled with love! May God's richest blessings follow you throughout your lives. Very detailed. Made the music that we requested work. Became our day of coordinator, which was a huge plus!! Everyone did get on the dance floor, which we thought would never happen. My 96 year old grandma danced along with our metal head friends!! 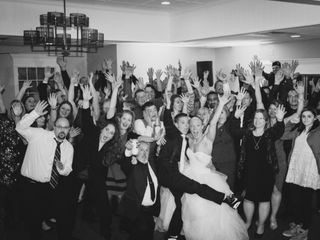 We had 650 people at our wedding and they kept them all out on the dance floor all night long, I would highly recommend them to anyone I know planning a wedding! Russ was more than just a DJ for us, he coordinated things perfectly with all of our other vendors and we were able to relax and enjoy our day. The lighting was beautiful and he kept the party going all night with his awesome music choices. He had so many great ideas for guest involvement and the voice over during our parent dances was so touching and all of our guests loved the uniqueness. We cannot thank Russ enough for his help on our day. We highly recommend Spotlight Events! Russ was such an asset at my sister's wedding! He went above and beyond all of our expectations and was incredibly accommodating. He ensured that all of the guests were happy and having a good time. Russ really works hard to make sure your day goes smoothly! 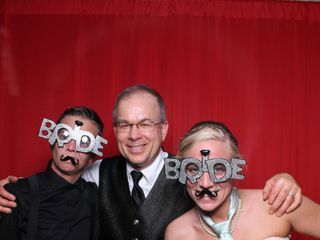 Plus the photobooth is easy to work and such a fun way for your guests to leave their mark! Working with Russell from Spotlight Events was an absolute pleasure. As a best man to one of two joyful brides planning a wedding on only 6 weeks notice, I found his expertise as a planner, master of ceremonies, and entertainer to be invaluable. The services he provided - including playlist and activity customization, multimedia recording and editing, and follow-up - genuinely blew me away. Russell's first priority is to tie the emotions of such a big, important day in to his shows while demonstrating sincere caring and respect. In this case, he was highly successful! The ladies' reception was one of the happiest and most fun parties I have ever been to, and, being on New Year's Eve, there was some anxiety about guests leaving early. We needn't have worried! 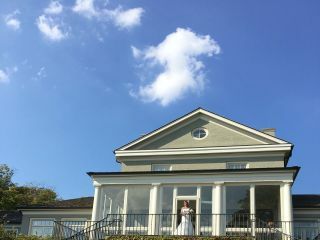 The reception was engaging and family friendly without being childish, and Russell continued to perform after his scheduled departure time, as about two-thirds of the guests remained until the final song. Though he may cost a little more than other options, I found Russell and Spotlight Events to be worth every penny. Simply the best! Our wedding reception has been the talk of our friends and family because of how fun it was and we owe it all to you!! Greg and his sidekick were absolutely AMAZING, incredibly professional, and on top of everything. My wedding went so smooth because of Greg. So many people were telling me to hire some amateur DJ to play some music because it was all I needed.. Wrong. When Greg said he is like the ring master he couldn't have been more right. I am still getting compliments about our DJ almost 2 weeks later and he is the reason it was such a perfect night. He was full of surprises and my husband and I couldn't have been more happy about having him. He is very kind, patient, understanding and so fun. Thank you to Greg for making my wedding night so magical and perfect. You two were wonderful to work with! I appreciate your being open to all my crazy ideas. I knew when we met at the bridal show that we'd be a good fit. Nate and I wish you both a lifetime of love and happiness. Let us know if you we can be of service for any future events. A brief disclaimer before I begin my review of Spotlight Events and DJ/Master of Ceremonies, Greg Ostrowsky...I am fortunate enough to have this exceptionally talented man as my father. All my life he has been a permanent fixture, DJing every church and school dance since 6th grade, including several Monona Grove High School Proms. His ability to relate to and to read a crowd is unmatched and I have left many an event wishing the night could have gone on forever! Imagine my gratitude when he offered to MC and DJ both of my wedding receptions, in addition to performing his duties as father of the bride! An expert multitasker, my father, Greg Ostrowsky, seamlessly wove through the crowd greeting guests, announcing special dances and highlights of the evening, and choosing the perfect music to create a celebratory atmosphere that reflected my tastes and was appropriate for both the venue & our guests. Greg Ostrowsky Runs the Show! He is a professional; the best of the best! You can have confidence that no detail will be overlooked and no request will be forgotten when you engage the services of Spotlight Events! Awww... (blush). Thanks, Carly. I remember that building your wedding playlist was one of the toughest DJ tasks I've ever tackled. Yours and Tom's taste in jazz was (and is) surprisingly sophisticated -- especially considering all the pop 90s stuff you listened to in high school and college. You just keep on doing what you're doing. Love you guys. From the moment my husband and I connected with Russ about possibly providing the entertainment for our wedding, our experience was nothing but wonderful!!! After meeting with Russ face to face and talking about our day, we knew that he had to be our DJ. From there on out working with him was so wonderful! It's been said before and we will say it again - he is SO MUCH MORE than a DJ. He basically helped us plan our entire day out and offered us some of the best, useful advice. If you're wondering about which DJ to choose, choose Russ! I guarantee you will not be disappointed.